Have you ever stayed at a hotel that costs $847 a night? It sounds like something a rock star would do, doesn’t it? 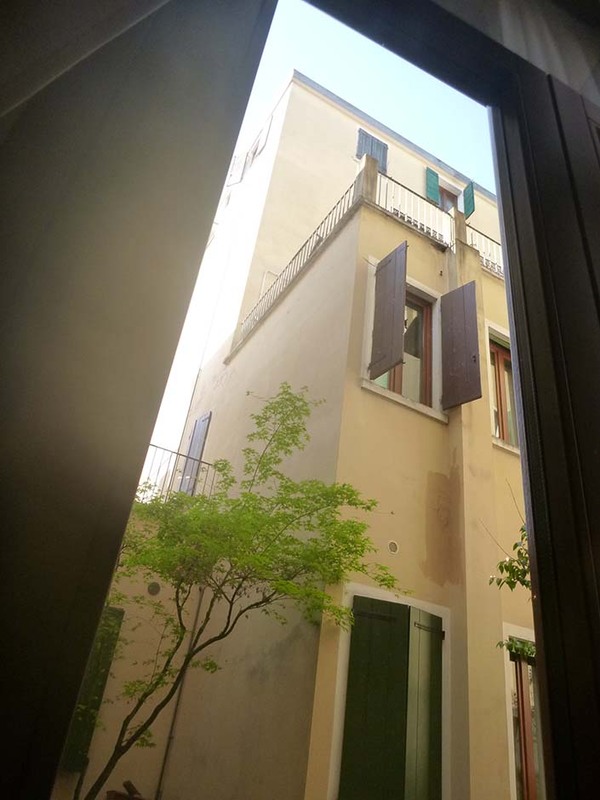 My vacation fund is zeroed out, but here’s my experience at a European luxury hotel. 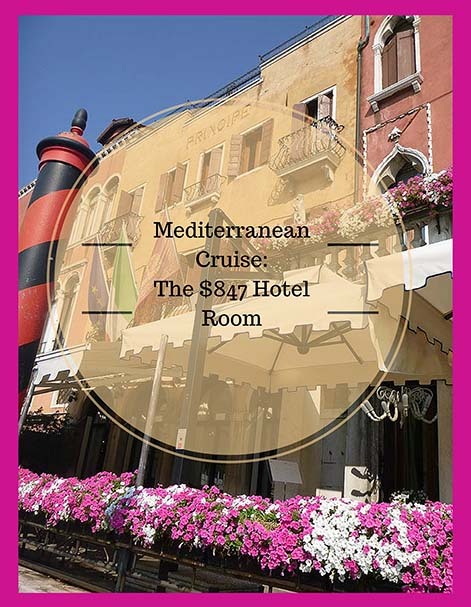 At the end of a seven-night Mediterranean cruise, my friend M and I wanted to spend a day sightseeing in Venice (where the ship embarked and debarked), so she made a reservation through Celebrity cruise line at the hotel their travel agent recommended. 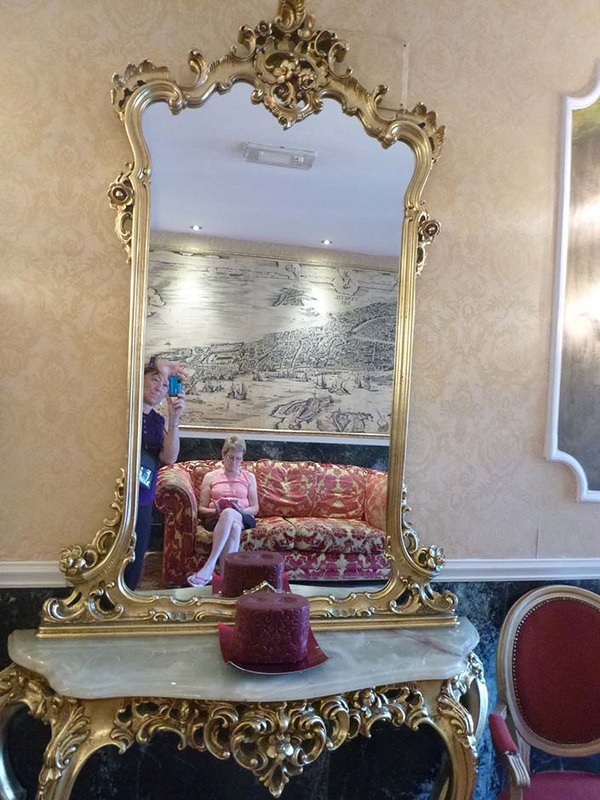 The woman told her it’d be 380-some euros, and M OK’d it, thinking that was the total bill. 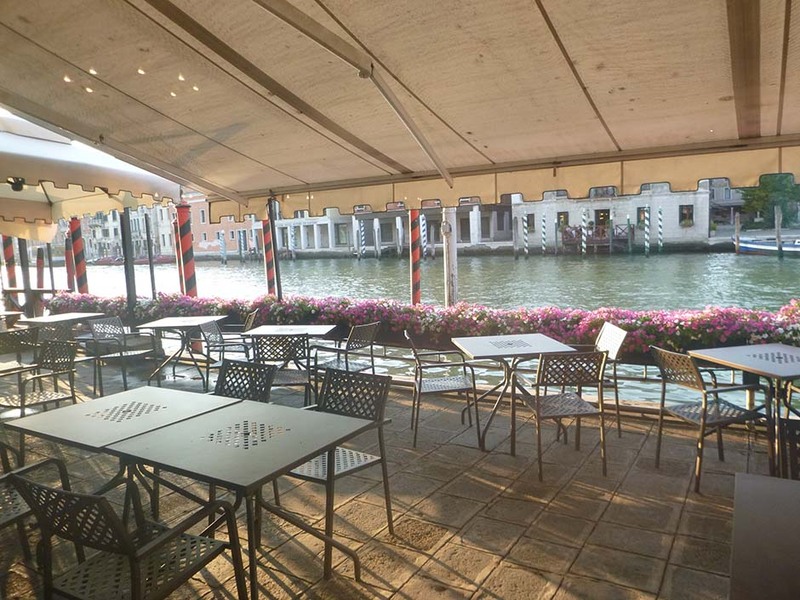 We were so excited — a four-star hotel right on the Grand Canal! That is — until we got the cruise invoice and realized that rate was per person…and it was too late to make other arrangements. 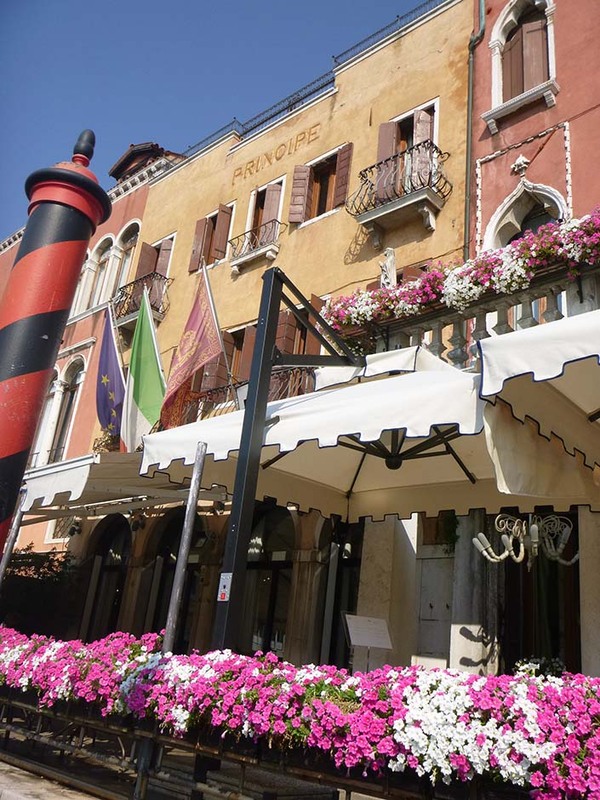 The exterior of the Hotel Principe was lovely (lots of flowers) and in a great location on the Grand Canal, just a water taxi ride away from everything. 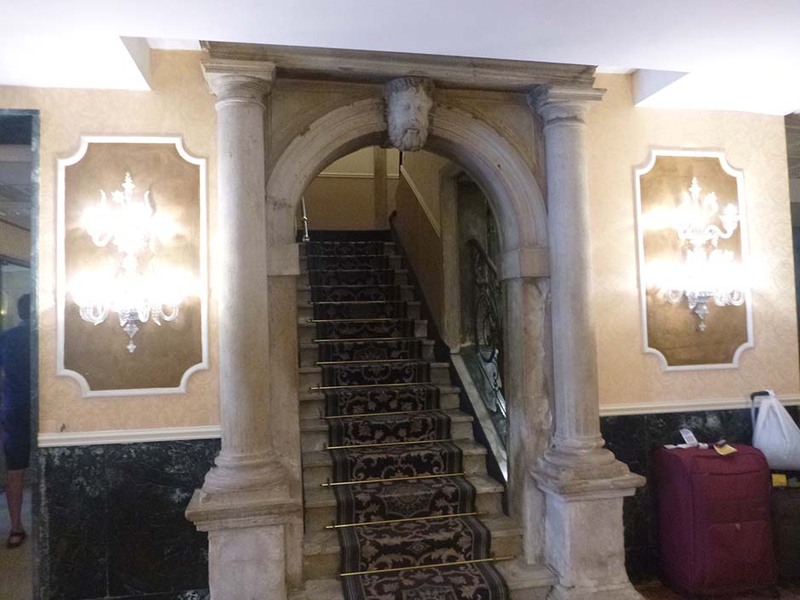 The inside was — well, very, very, very ornate. 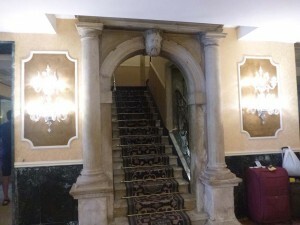 We kind of felt like we were spending the night in Louis XIV’s palace! 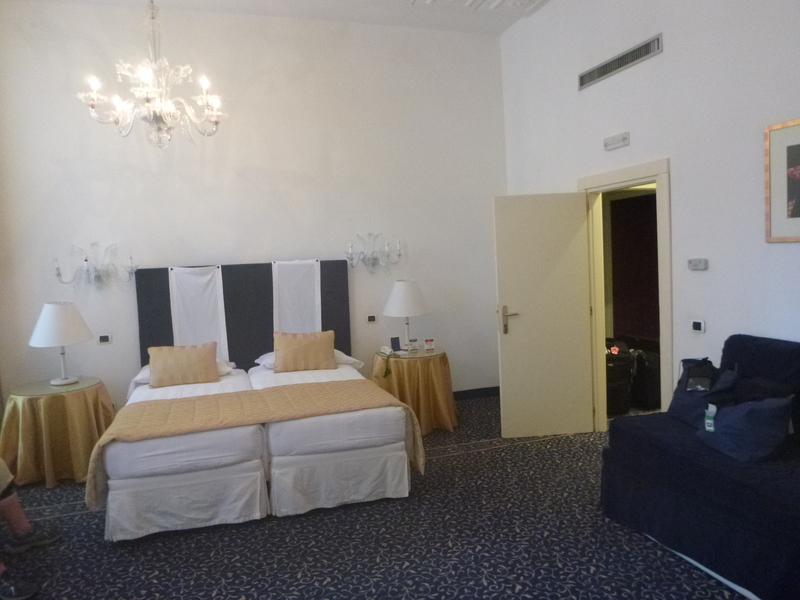 Our room was huge, with high ceilings, and the adjoining bathroom was the biggest one I’ve ever seen. 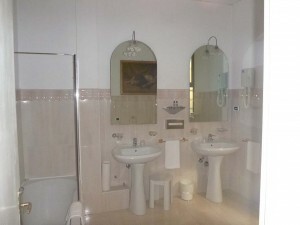 A gold-framed painting hung above the toilet and bidet, and two sinks with ornate silver-and-gold fixtures were located across from that. Several large ceiling chandeliers provided light, and mini-chandeliers were located on each side of the bed. 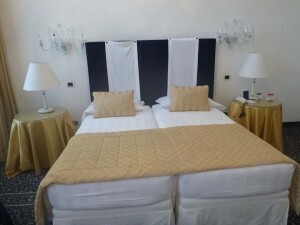 The two twin beds we requested were right up-close-and-personal next to each other. My friend and I like each other — but we didn’t particularly want to wake up face to face. However, at that point at the end in the trip, we were too tired to do anything about it — and just hoped for the best. 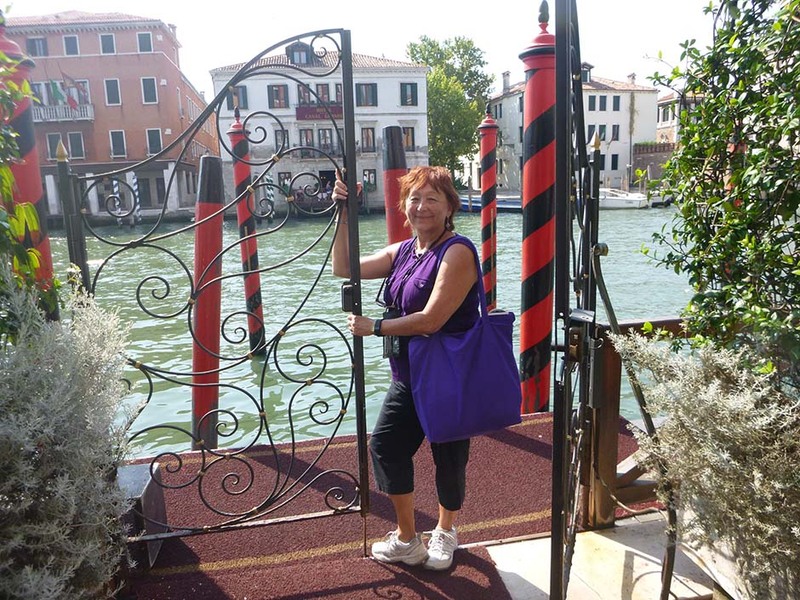 After a day of extreme walking all over Venice (15,000+ steps on our Fitbits! 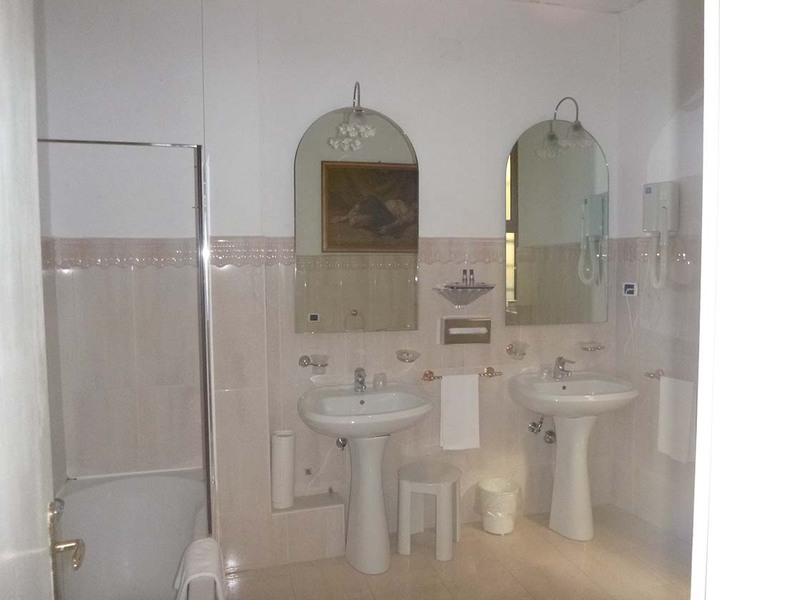 ), when we came back to the room we each wanted a refreshing shower. We ended up calling the front desk. 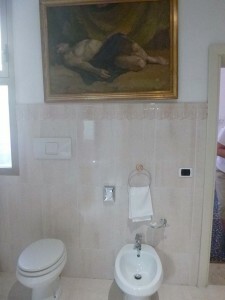 A dour-looking Italian man came up, pulled on something and promptly turned the shower on, making us feel like idiots. When we asked him for washcloths (using sign language for teensy, tiny towels), we figured out (and confirmed later) that they don’t use them there. Who knew? 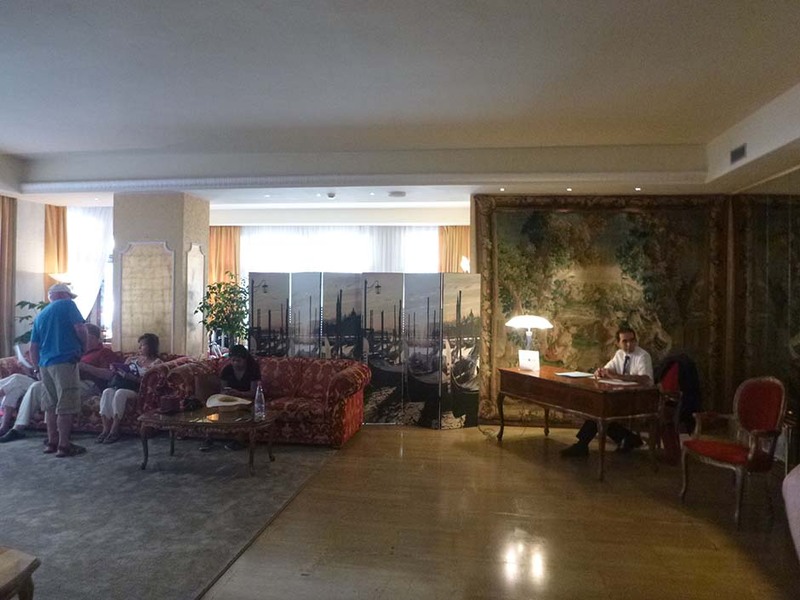 This entry was posted in most expensive hotel, vacation, Venice and tagged expensive hotel, Hotel Principe, most expensive hotel, Venice. Bookmark the permalink. 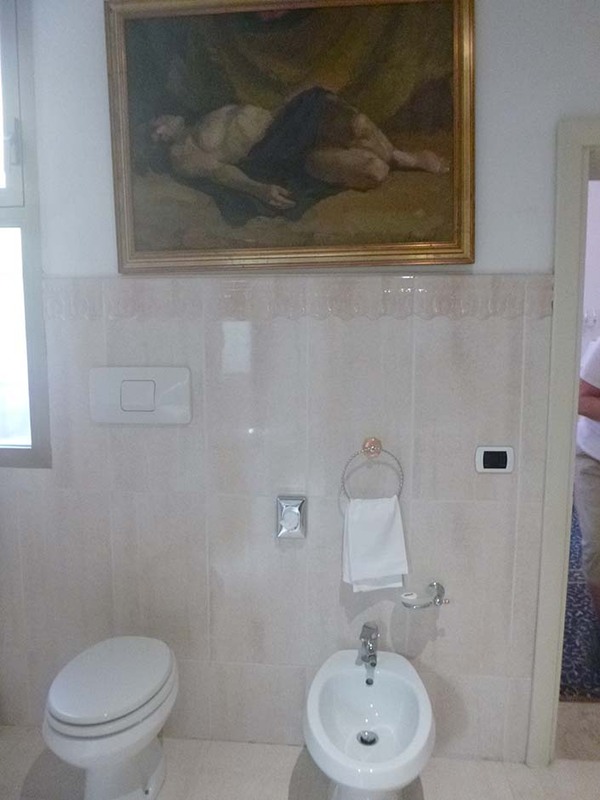 Wow what a beautiful hotel! Looks like you guys had a great time! Had to live it up — it was probably the swankiest place I’ll ever stay!